It's hard to forget about the fiery Galaxy Note7 battery fiasco that Samsung had to deal with over a year ago. 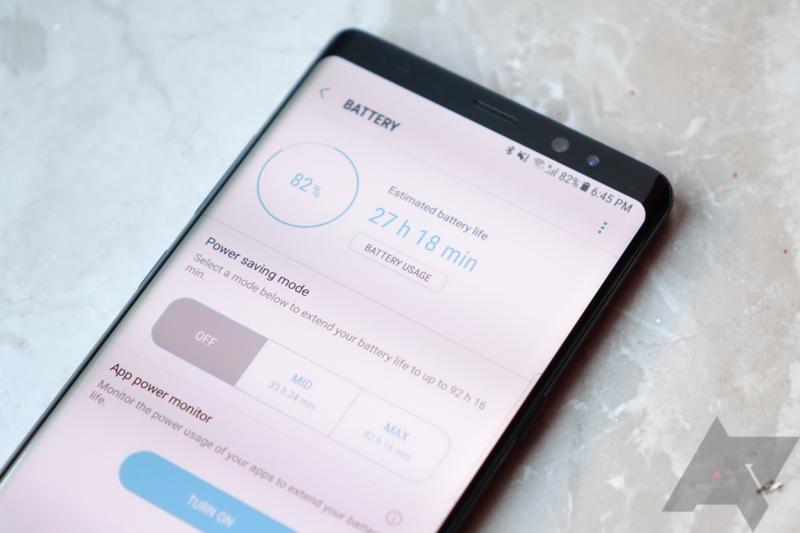 While the company went to great lengths to assure customers that this wouldn't ever happen again, a different kind of battery issue has arisen on the Galaxy Note8 and Galaxy Tab S3. Some customers are now reporting that their devices will not turn back on after their batteries have died completely. The maelstrom that is Black Friday has come and gone, but there are still outstanding deals to be had in the calm before Cyber Monday. 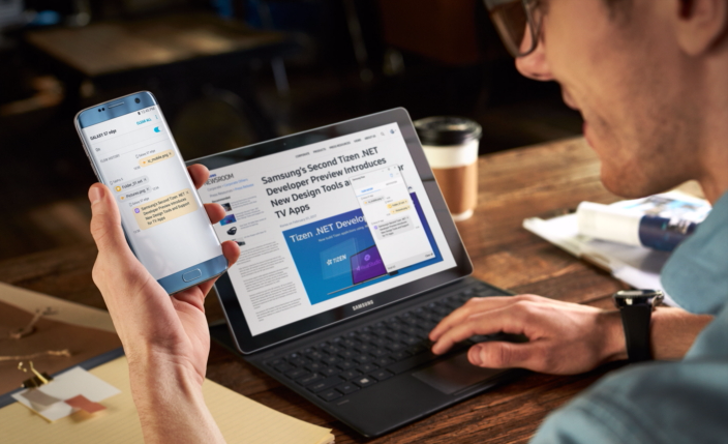 Take the Samsung Galaxy Tab S3, for instance: With a display that's tough to beat and helpful multitasking capabilities, the tablet remains one of the more enticing options out there today. Lately, it's becoming one of the more heavily discounted tablets, too. Now you can buy an open-box Tab S3 for just $369.99, which is a rather handsome $230 discount. With Black Friday around the corner, it's just about the perfect time of the year for the dozens of you who are in the market for a new Android tablet. As a prelude to the peak season for big discounts on products that have modest demand, Costco has a sweet deal on the Samsung Galaxy Tab S3, one of the few legitimately premium Android tablets out there. Costco members can scoop up the Tab S3 for just $459.99, which knocks $140 off the original price. The deal includes $20 in Google Play credit, bringing the total discount on the tablet to $160, if you're fine with that sort of math. We've seen the decline of Android tablets in recent years, but if you're in the market for a new one, then you might want to listen up to this Deal Alert. 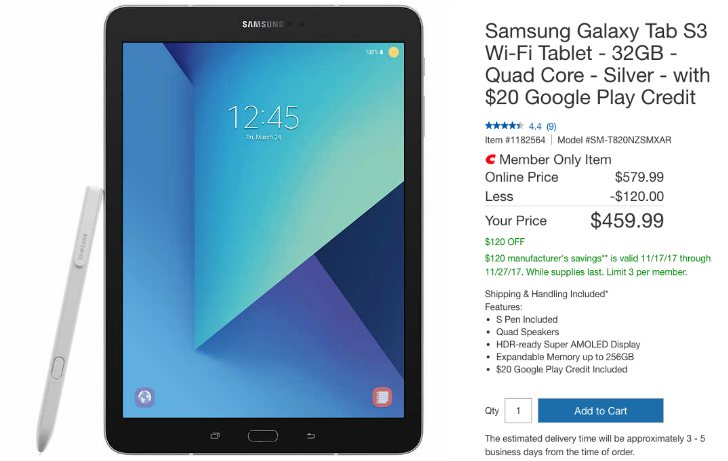 You can grab a Samsung Galaxy Tab S3, plus a $20 Google Play gift card, for $469.99, saving you $130 off the price of the tablet — if you want to get technical, you're actually saving $150 with the gift card thrown in. The Android tablet market mostly consists of sub-$100 models usually found at your local Walmart or Target. 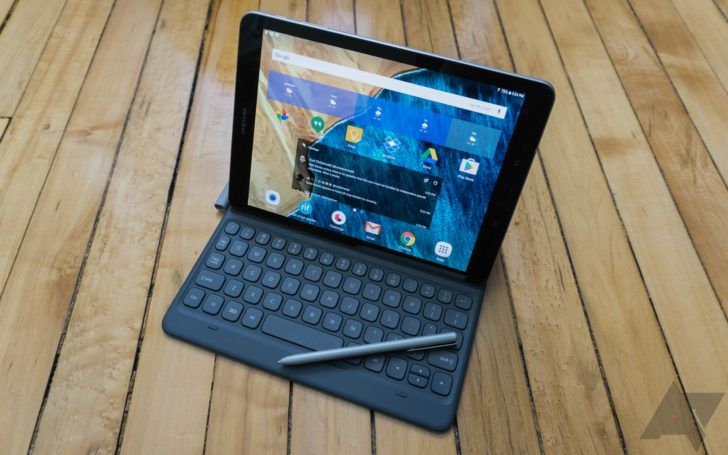 High-end Android tablets are few and far between, with one of them being the Samsung Galaxy Tab S3. Now you can buy it for $489 from Woot, a $110 savings over the $599 MSRP. Nowadays, there aren't many premium Android tablets on the market, largely due to the fact that very few people buy them. But if you are on the prowl for one, Samsung's Galaxy Tab S3 is among the best. And now, you can pick one up for over $100 off MSRP at a variety of retailers, including Amazon, Best Buy, and Samsung. 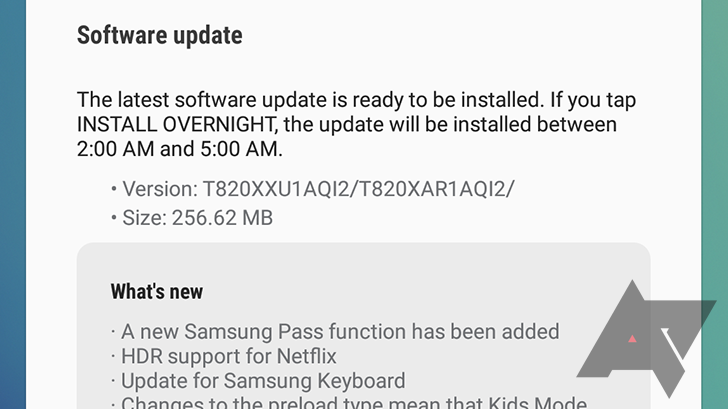 Samsung has officially declared that an update to its Flow app is coming. 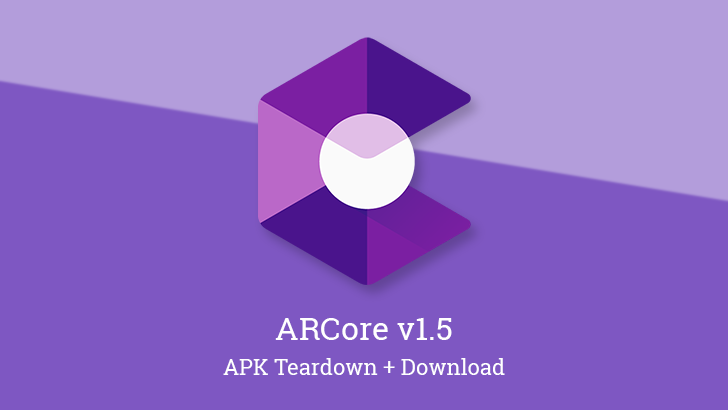 Slated for April, it will expand to more Galaxy and Windows 10 devices. If you don't know what Flow does, it allows you to use your Galaxy's fingerprint sensor to unlock your PC, act on your phone's notifications via your desktop, share browsing sessions, and transfer files both ways.